Listing courtesy of Hakop Taglyan (CalBRE #01525787), Butlered Real Estate Brokerage. Location! Location! Location! This 20,000 sqft Developers dream is walking distance to large multination companies such as; Netflix, Capitol Records, LA Film School, Sunset Bronson Studios, Emerson College and coming soon The Hollywood Central Park. The 3 adjacent lots are within the La Mirada cul de sac, which may become a gateway into The Hollywood Central Park and rezoned to Hotel & other R4 uses (do your own Due Diligence), currently it is zoned R3 with a Ready To Issue Permit for 34 units (majority of planned units are 2+2) with the TOC Tier 3 benefits build upto 50 units, architectural plans available. The apartment rental market has skyrocketed in recent years, currently 2+2 are renting between $4K to $6K yielding great cash flow and high ROI & with LA hosting the 2026 Olympics there is no end in site. 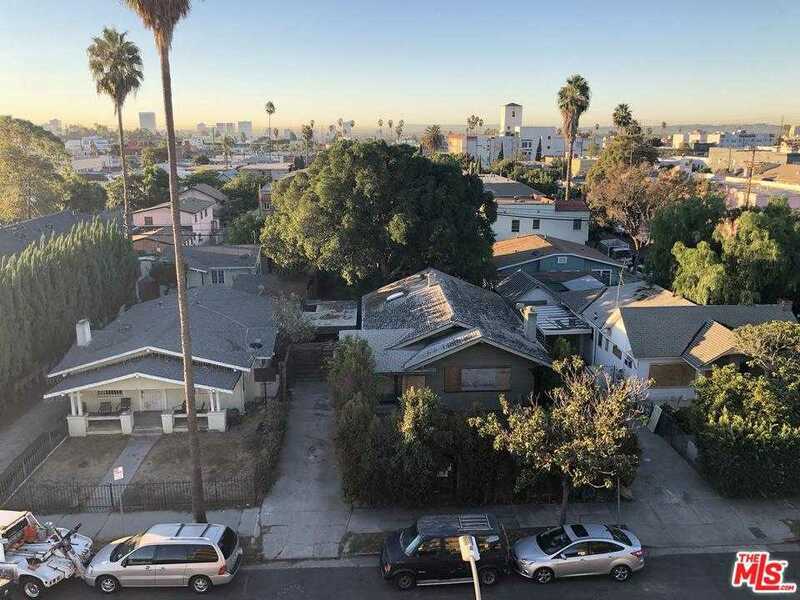 This prop is walking distance to LA’s best schools, restaurants, entertainment centers & billion dollar projects all around during the revitalization of Hollywood. Building size: 748 sq ft.